You may wonder whether such a revolutionary new Mac OS X feature as Spotlight has its own pane within System Preferences — and you’d be right. 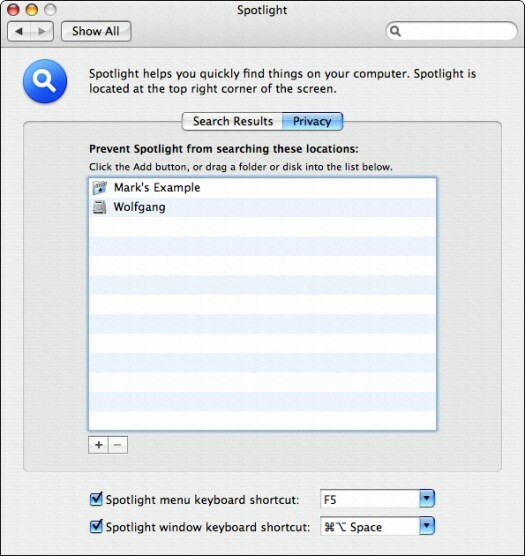 Figure 1 shows off the brand-new Spotlight pane within System Preferences: Click the System Preferences icon (look for the light switch) on the Dock and then click the Spotlight icon (under Personal) to display these settings. 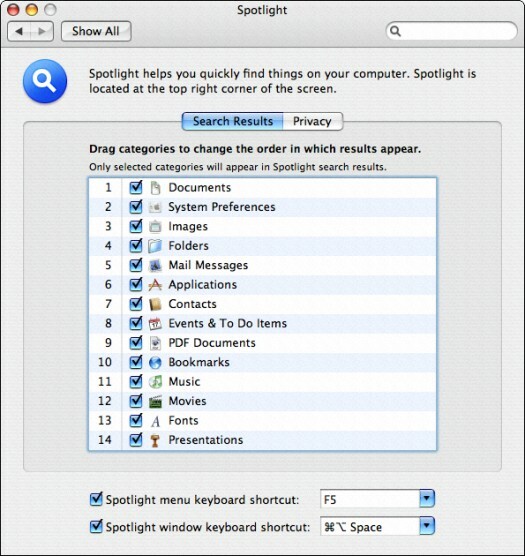 Figure 1: Fine-tune your Spotlight menu and Results window from within System Preferences. Determine which categories appear in the Spotlight menu and Results window. For example, if you don’t use any presentation software on your Mac, you can clear the check box next to Presentations to disable this category (thereby making more room for other categories that you will use). Determine the order that categories appear in the Spotlight menu and Results window. Drag the categories to the order that you want them to appear in the Spotlight menu and window. For example, you want the categories you use most often to appear higher in the list. Specify the Spotlight menu and Spotlight Results window keyboard shortcuts. You can enable or disable either keyboard shortcut and choose the key combination from the drop-down list box. Figure 2: When certain folders and disks must remain private (even from you), add them to this list.